Police in Port Moresby are in full force carrying out Christmas operations. 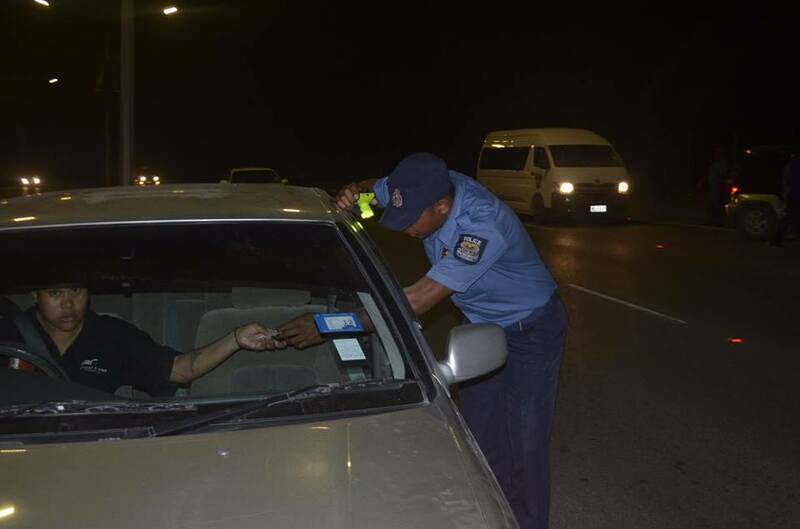 Traffic check points are set up during the days and even nights in different spots around the city. Meanwhile the Boroko Unit was stationed at the roundabout at 4mile. It is the time for festivity however caution must be taken by everyone. Meanwhile the National Capital District metropolitan superintendent Ben Turi has called on all residents of Port Moresby to show respect this Christmas season. He said yesterday that police will be everywhere to ensure residents enjoy the festive season. Turi said police have started their Christmas operations and despite the city not enforcing restrictions on alcohol sales this year, police will arrest residents who cause alcohol related problems during celebrations. "The main thing is respect, if everyone respect each other this Christmas, they will keep the true meaning of Christmas and not get themselves into trouble or give others problem," the city’s top cop said. Mr Turi said that police will be setting up roadblocks around the city checking for drink-drivers to ensure public safety for everyone. He said that anyone who is found to be rough and misbehaving and under the influence of alcohol will be arrested and locked up for the night at the police cell. Turi also said the magistrates are ready for special court sittings if the need arises. "If everyone goes to church to share the true meaning of Christmas, that will be great. "We are not stopping you from drinking or partying but as long as you behave, you will be okay," Mr Turi said.